We partnered with the Moo-Young Concept Shop to create a unique interactive shoe pedestal for their sneaker line. 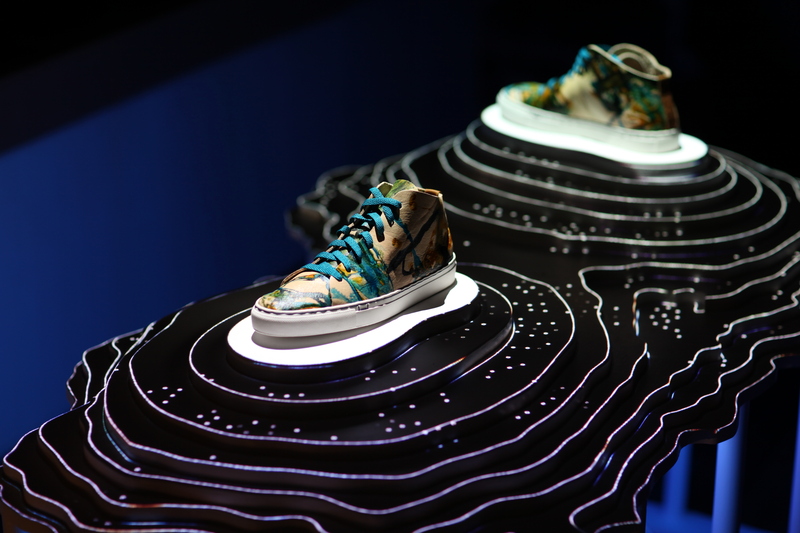 The shoes sit on a projection-mapped topographical mountain range. Placing shoes on the platform creates disturbances in the projected algorithmic landscape.